Over 50 Wisconsin schools offer accounting programs, starting with Associate degrees through to Master’s degrees. Among these, the University of Wisconsin took the 1st place in the small institution category of the 2013 Public Accounting Report survey of accounting professors. The same survey rated the University of Wisconsin as the 15th best overall in terms of quality undergraduate accounting programs. While the number of accountants in Wisconsin has been decreasing, the number of accounting graduates is growing and the state offers quality study options capable of preparing students for a successful career. The accounting school you choose can be a springboard for your career, preparing you through both theory and practice for a demanding professional path. It is essential to shoot for the best and to inform yourself in depth before enrolling in an accounting program. Firstly, a good accounting program will be AACBS-accredited, highly rated and its graduates will have achieved good pass rates on the Uniform CPA Examination. Make sure to research the most recent CPA exam pass rates in order to get a glimpse of the program’s academic effectiveness. Student evaluations and other forms of recognition such as awards can also help you identify a quality program. Furthermore, a good school will make a positive impact on the students’ careers through placement opportunities, on-campus experience and a good placement office. You should check the graduate employment rates of the programs you are considering and find out which firms tend to recruit graduates of the program – especially big companies such as the “Big Four”. The ideal accounting program will display a high rate of success of its graduates, both at the formal level (the CPA exam) and the professional level (experience and employability). Before you commit to four or five years of intensive study, you should make sure that the program you choose meets both of these expectations, as this will make it much easier for you to face future challenges in your career. Accounting can be a rewarding career if you have an inclination for business and an eye for detail. However, you will need to be highly motivated, as there are many educational, experience and qualification requirements that you will need to meet, especially if your goal is to become a Certified Public Accountant (CPA). You will need a minimum of a four-year bachelor’s degree including courses in business and accounting in order to work as an accountant. However, you will be required to undertake additional coursework amounting to 150 semester credits if you intend to sit for the CPA exam. The exam itself consists of four sections and is infamously difficult to pass. After you have passed all sections of the exam, you will have to acquire a certain amount of experience and pass an ethics course and examination before you can apply for your CPA license. As a licensee, you may still need to complete a number of continuing professional education courses in order to renew your license. In this profession, the learning never stops. It is thus crucial that the first decision you make on the way – which accounting school to attend – be the right decision. A good accounting program will prepare you for the twofold challenge that you will meet upon graduation: the academic challenge of the CPA exam, and the professional challenge of starting a career in accounting. 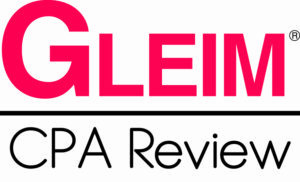 In order to qualify for the CPA exam in Wisconsin, you are required to complete 150 semester hours comprising either a Bachelor’s degree with a major in accounting or a relevant graduate degree. The former must include 24 hours in accounting courses and 24 hours in business courses, while the latter should include 24 hours in undergraduate courses and 15 hours in graduate courses or an equivalent combination. Passing all sections of the CPA exam is a requirement in order to obtain a CPA license. Additionally, you must acquire one year of experience in accounting and pass the Wisconsin ethics examination. Wisconsin accountants have good career opportunities and pay levels, with an average annual wage of $67,460 in 2013. The salaries have been constantly rising, although at a slower rate than the average salary across all professions. Accounting is a broad field that offers a wide range of different career paths, so differences in pay level between accountants can be significant. In Wisconsin this is particularly apparent, with a difference of 109% in 2010 between the highest and the lowest paid accountants. While the field of accounting is shrinking in Wisconsin, opportunities still exist for skilled graduates to be successful in this field. The Carroll University offers an undergraduate program in accounting that presents students with two options: one track is for students wishing to secure a position in a corporate or non-profit organization, while the second track is for students who aim to meet the 150 credit hours required to sit for the CPA exam. 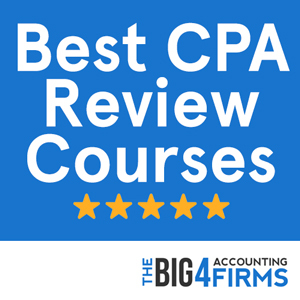 The unique feature of this program is that both tracks can usually completed within four years, as opposed to the five years normally required for students to qualify for the CPA exam. There is also a possibility to pursue five years of study, leading to a Master in Business Administration in addition to the Bachelor’s degree. 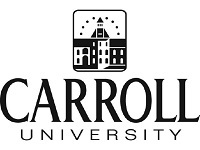 The Carroll University was ranked 38th best among Midwestern regional universities by US News, thus unable to compete in prestige with nationally recognized schools. However, from a professional point of view, the program offers students the opportunity to embark on a CPA career, as well as to network, participate in national student chapters and gain experience through internships during their studies. With a first-time pass rate on the CPA exam of 30-50%, above the Wisconsin average, the program does not shine through its achievements, but it can offer motivated students an opportunity to succeed. While it is always advisable to aim for the best accounting program, it is important to remember that the final say in your success will not belong to academic rankings, but to you – your degree of motivation and the amount of effort that you are willing to invest in your studies. The AACBS-accredited program at the University of Wisconsin’s Madison School of Business is rated as one of the best in the country. Students may choose to pursue a four-year undergraduate degree program leading to a Bachelor of Business Administration (BBA) with an accounting major, as well as a Master of Accountancy program. The school offers three options for students wishing to qualify for the CPA exam by earning the necessary 150 credits: an Integrated Master’s of Accountancy program leading to both the BBA and the Master of Accountancy degree; the BBA degree and a Master of Business Administration (without an accounting specialization); or a different undergraduate degree with a Master of Accountancy degree. Candidates can also earn 150 credits at the undergraduate level. The Madison School of Business helps students launch their career by providing networking opportunities and an internship-based graduate program together with on-campus student organizations and study abroad experiences. By pursuing this rigorous program you will not only expand your skills, but also get acquainted with the real world of accounting while you are still a student.